మహీంద్రా ఎక్స్యూవి500 డబ్ల్యూ5 Comfort & Convenience "Micro Hybrid Technology /n Electrically Operated Temperature Control with Dual HVAC /n Power Windows /n Remote Tailgate Opening /n One Touch Lane Change Indicator /n Mobile Charging Points /n Flexi seat configuration కోసం convenient storage (60:40 foldable 2nd row, 50:50 3rd Row) /n Flat-foldable 2nd and 3rd row seats /n "
మహీంద్రా ఎక్స్యూవి500 7 వేర్వేరు రంగులలో అందుబాటులో ఉంది - Opulent Purple, Lake Side Brown, Pearl White, Mystic Copper, Moondust Silver, Crimson Red, Volcano Black. Which variant of Mahindra’s updated flagship SUV offers the most value? 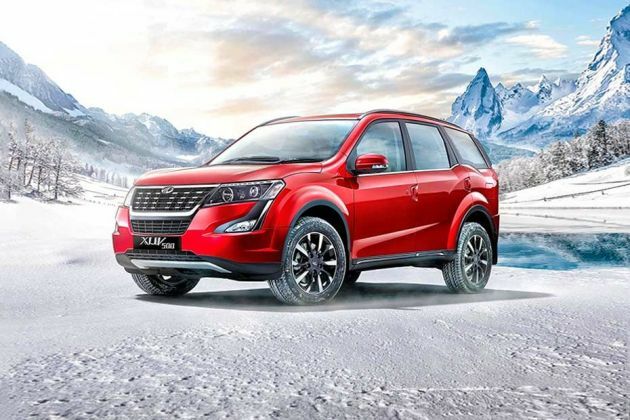 2018 Mahindra XUV500 - Which Variant To Buy? 2018 Mahindra XUV500 Quick Review | Pros, Cons and Should You Buy One? Best car and it was very nice and looking so beautiful. Mahindra XUV500, the best 7 seater car. Best SUV in 10 to 15 lakh. It has a low maintenance cost. Just a little bit noisy engine!!! But over-all it's excellent. Best Car with amazing features and beast look. Quite easy to drive and so spacious. Powerful pack with suitable pocket cost. Amazing car loved the spacing and smooth in driving. Best car for nuclear family and adventure loving people. ఢిల్లీలో మహీంద్రఎక్స్ యు వి 500 & స్కార్పియో 1.9L mHawk ఇంజిన్ తో రాబోతున్నాయి.